The next Dungeons & Dragons storyline will be Rage of Demons, which begins this September, Wizards of the Coast announced today. Licensed tie-in products, similar to previous storyline offerings (see “‘D&D: Elemental Evil’”), will also be available from partner companies. 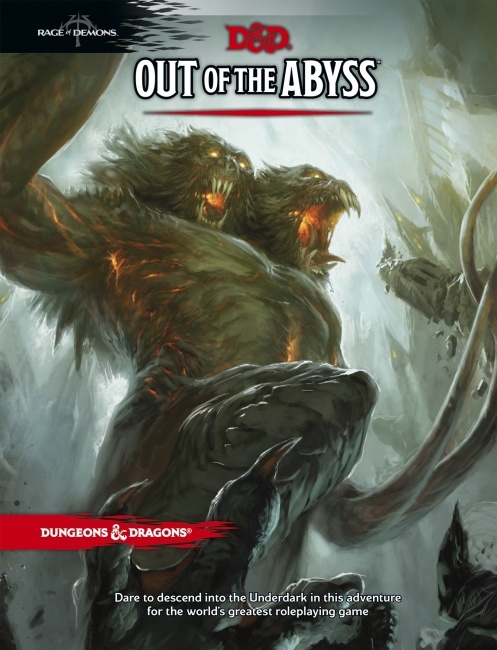 WotC will release the new Out of the Abyss adventure book, which will include details about the races of the Underdark, as well as settlements of mind-flayers, duergar, derro, svirfneblin and myconids, among others, a Wizards of the Coast spokesperson told ICv2. The book is scheduled for release on September 15, with WPN stores Core level and above qualifying for ealy release on September 4. MSRP is $49.95. The spokesperson also told ICv2 that while a special preview adventure will be playable at Gen Con 2015, the official D&D Adventurers League season will be timed to begin with the release of Out of the Abyss, and players will have the opportunity to play the opening chapters of the adventure at participating WPN locations as part of the D&D Encounters in-store play program. Rage of Demons sees the demon lords unleashed from the Abyss, and players must accompany the iconic renegade drow hero Drizzt Do’Urden to Underdark to stop the chaos before it reaches the surface world. 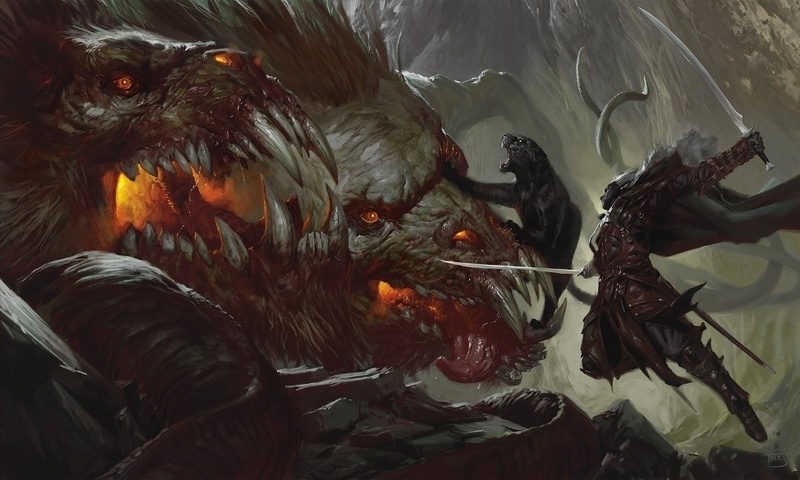 The citizens of Underdark carry rumors of powerful demon lords including Demogorgon, Orcus and Grazz’t terrorizing the caverns as they flee to the cities of the Sword Coast. Players must defend Drizzt Do’Urden from not only the demons, but his own dark temptations. WizKids will produce Rage of Demons-themed releases for Icons of the Realms pre-painted collectible miniatures line, similar to previous storyline product offerings. In response to a question, no information was available on whether WizKids will also produce a new board game similar to the recently released Temple of Elemental Evil adventure board game. This entry was posted in Dungeons&Dragons and tagged D&D on May 6, 2015.